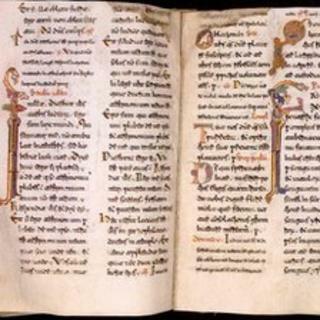 A 12th Century manuscript which was housed in the British Library is to be returned to Italy because it was looted during World War II. The 290-page Beneventan Missal was taken from the Metropolitan Chapter of the Cathedral City of Benevento, Naples, in 1943. The British Library later acquired it, but after a change in the law it must be returned to its native city. It will now be transferred to the Chapter Library in Benevento. The manuscript was bought by a British army captain from a second-hand book seller in Naples in 1944, before being acquired at auction for the British Museum in 1947. It was then transferred to the British Library in 1973. The Chapter discovered that the manuscript was in the British Library in 1961 - believing it had been destroyed in the war - and made formal claims in 1978 and 2000. In 2005, a ruling by an independent body concluded the Missal had probably been looted from the Metropolitan Chapter of the city between 1943 and 1944 and recommended the manuscript should be sent back. However, it was not possible at the time because of the terms of the British Library Act which prevented it. But following the passing of the Holocaust (Return of Cultural Objects) Act of 2009, the Chapter resubmitted its claim for the Missal. It will be the first item to be returned under the Act. British Library chief executive Dame Lynne Brindley said: "We are now in discussions with the Chapter Library in Benevento to make arrangements for the return of the Missal. "I understand the Chapter Library will continue to provide international scholars with the levels of access to the manuscript that they have enjoyed up to now and that the item will continue to benefit from the highest standards of care and stewardship." Culture Minister Ed Vaizey said: "We should all be incredibly grateful that the Missal has benefited from the highest possible standards of care during its time at the British Library. "The city of Benevento will once again be custodian of this unique and culturally valuable manuscript, bringing to a close another chapter in its fascinating history."